Click on the download link below to get pattern. These are so cute! Thank you for the tute! Going to try to make some of these. Am an amateur at crocheting so will see how they turn out. these would be super cute coasters too! 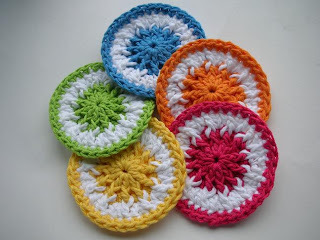 Hello, I just wanted to congratulate you on your blog and to say Thanks for sharing so many cute crochet patterns. Hope to drop by soon and take a look at your inspiring work. All the best!